You can pre-book a bike online. Choose when you want it, how long you want it and if you want us to deliver and/or pick it up for you. ... and we’re constantly expanding our network*. *If you're interested in your business becoming a Treadly Bike Hire Point, please get in touch with us here. Half day hire = 6 hours on the same day. Not available overnight. 1 day hire = 24 hours. eg. 10am to 10am the next day. Minimum 2 day hire over Public Holidays. eg. Saturday 10am to Monday 10am. All Treadly Bikes are the Brompton M3L model and come with: lights, 3 gears, adjustable saddle height to suit all riders, front carrier bag, mudguards, bell, lock, helmet and a Treadly city map here & here. Special rates for longer term hire are available. < 3km from the city fringe delivery and/or pick up include Adelaide Airport. All prices are in AUD and are subject to change without notice. Please read T&C's before making a booking. Make the most of the Treadly Bike Hire experience with the following options below. Maybe a tour of the best cafes Adelaide with Square Mile Tours, something to ride with the whole family or the simplicity of delivery and/or picking to your accommodation. 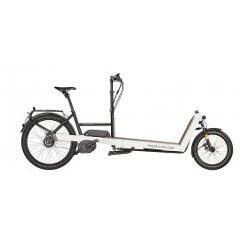 Pickup & Delivery for a Brompton Folding Bike less than 3km from Adelaide's City fringe to/from your desired location. e.g. Accommodation, business. Please enter delivery address in the appropriate field when prompted. The Yepp Mini also stands for uncompromising safety. Children aged from 9 months to around 3 years (or 15 kilos) enjoy maximum comfort and optimal protection in this attractively designed children’s bicycle seat. The three-point belt, the well thought out protective edges to the footrests and the adjustable foot straps guarantee a feeling of safety for children and parents. Extending your holiday? Heading interstate? Need alternate transport options for your business or conference? Treadly Bike Hire offers special rates for long term and multiple/groups bookings. We can organise a group of bikes, extended hire options, tours, even organise the bike be shipped to and from interstate. Contact us to arrange a quote and discuss your requirements to suit your situation. Email us here. EcoCaddy provides eco-friendly short-trip passenger transportation services and compelling outdoor media in Adelaide. We aspire to solve one of Adelaide’s biggest problems. In most cases getting from A to B in the City is just a little too far to walk and to short to justify a taxi trip. Well EcoCaddy is out to change all that, by revolutionising the rickshaw by providing the most cost-effective city transport in Australia. EcoCaddy offers the cheapest way to get from A to B in the city! Charging a flat-fare of $10 will get you from tce to tce and an extra $10. will get you to North Adelaide. That’s just $10 to get you anywhere in the city! If you are a mountain biker and keen on a unique experience we have something for you. Escapegoat Mountain Bike Tours & Hire is based in Adelaide offers mountain biking trips, skills training & hire for all levels of riding locally and abroad. Get on a bike and feel the wind in your hair as you explore the Adelaide hills and McLaren Vale wine regions. Check out our custom day trips – perfect for social groups, corporate groups, schools, and more. whatever you want! Have a mountain biking experience you'll never forget. We have trips to the Flinders Ranges, New Zealand and beyond. Maximise your ride time! Let us show you the best trails around- Craigburn, Eagle Park, Fox Creek & other ‘secret’ trails. Our skills training will help improve the skills of all levels of riders, from the brand new novice to advanced rider. The best hire MTB’s in town! Hire 2017 Norco Charger 7.3 Hardtails, and 2017 Norco Fluid Dual Suspension bikes. At Treadly Bike Hire we aim is to deliver a sustainable travel solution. To achieve this we work with tourism commissions, councils, property developers, universities and private companies. Contact us to become a partner.